Here’s a great tip I got from Randy Drisgill at SPTech Con Austin 2015. 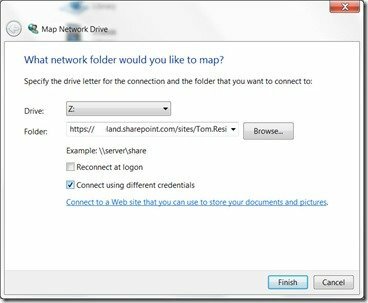 You can map your masterpage gallery from Windows Explorer to make it very easy to work with SharePoint Branding projects. 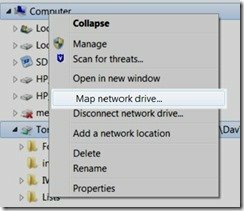 Right click on your computer in Windows Explorer and select Map Networked Drive. 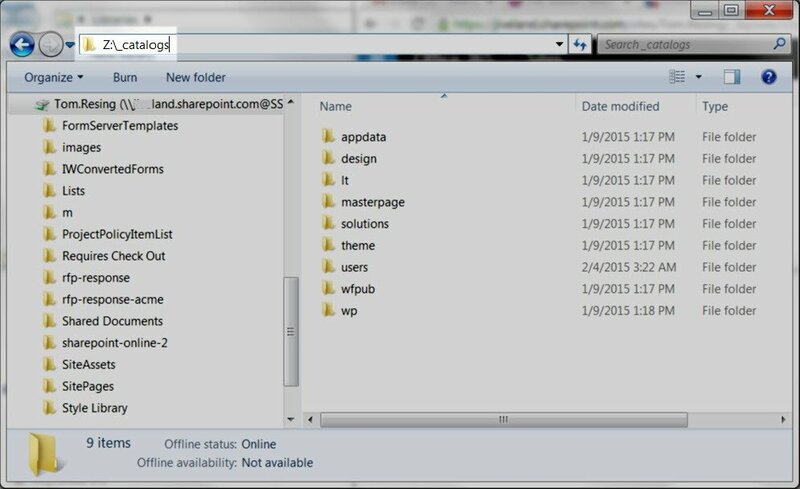 Paste in the URL to your SharePoint Online Site Collection you’d like to brand. 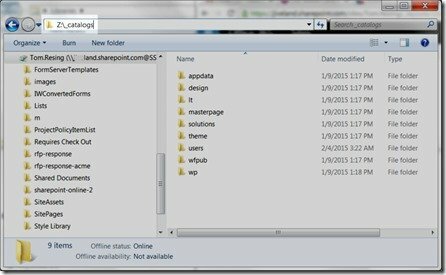 Your site collection will open at the root of the folder structure. By default, my _catalogs folder was hidden. However, you can just type the folder name to to show the masterpages folder underneath it. For example, I mapped my SharePoint Online Site Collection root to the Z: drive, so I typed z:\_catalogs to browse to the masterpages folder. And that’s it. Now you can upload Randy’s Starter Master Page and your other assets by drag and drop and copy and paste through Windows Explorer. Do you know of a way to do this on an iPhone? 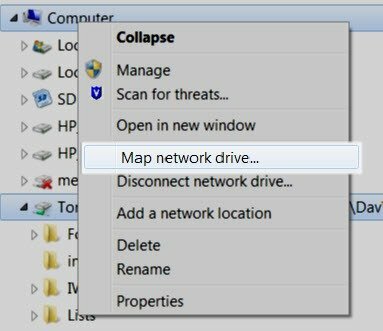 This worked perfectly for me when mapping an online drive. However, I am unable to find a way to do this on an iPhone. No. I do not know how to map a drive at all on an iPhone. Are you editing master pages on an iPhone? Got an access denied message. Information provided here is quite incomplete…. Where did you get an access denied? 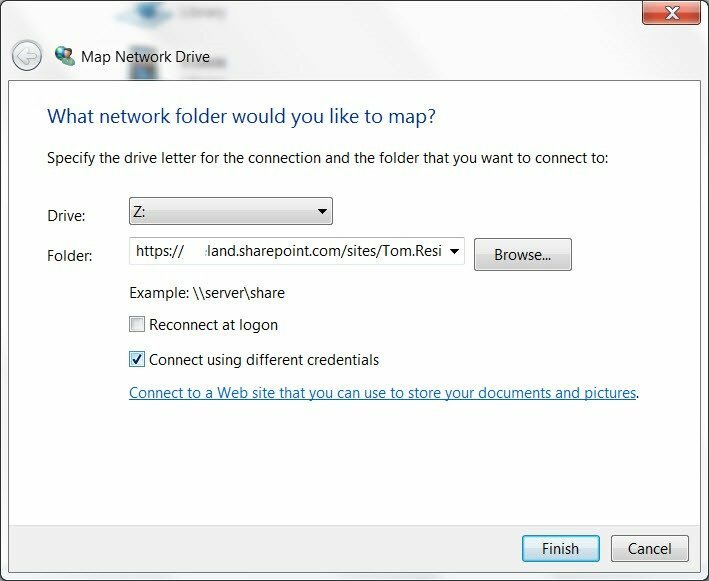 Can you reach the site through internet explorer?